Build your own colorful lighting system! 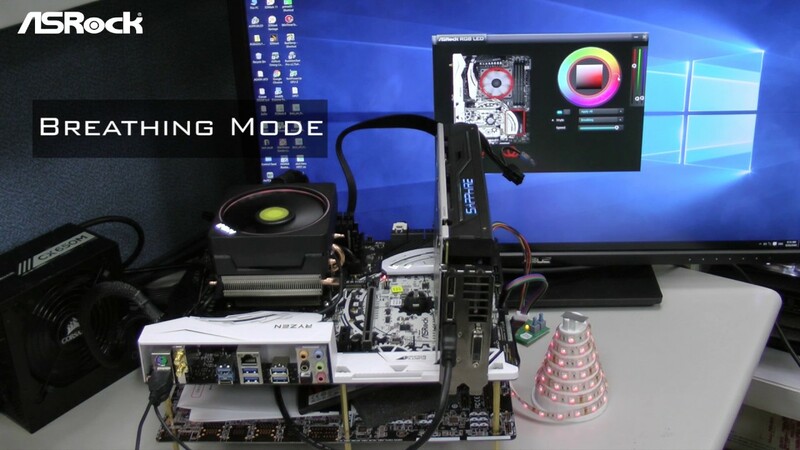 Onboard LED and RGB LED header allows users to connect LED strip and create their unique PC style easily. The ASRock RGB LED utility can be downloaded directly or from an all-in-one utility ASRock Live Update & APP Shop! ** This feature is only supported with Ryzen Series CPUs (Summit Ridge, Pinnacle Ridge and Raven Ridge).